Our eyes’ lenses and muscles start to deteriorate as early as adolescence. By the time we reach our 40s, many people experience noticeable vision difficulties. 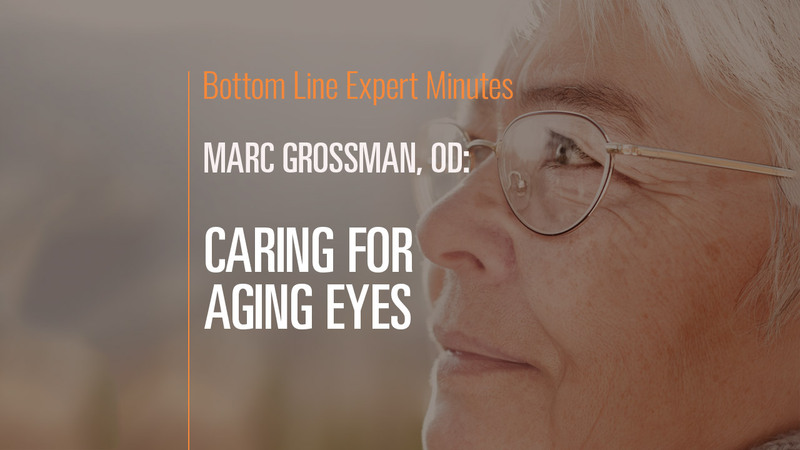 In this video, Marc Grossman, OD, LAc, holistic developmental/behavioral optometrist and licensed acupuncturist, discusses how to care for aging eyes. He recommends a program that stresses proper nutrition, eye exercises and overall body health. Vitamin C is crucial for eye health, and Dr. Grossman suggests taking 500 milligrams four times a day (2,000 mg total daily). And he suggests alternately focusing on something extremely close up and something in the distance for 10 to 15 repetitions each day. Finally, general aerobic exercise increases circulation, which also helps keep the eyes in good shape.